Bronx, New York City, NY. July 1966. 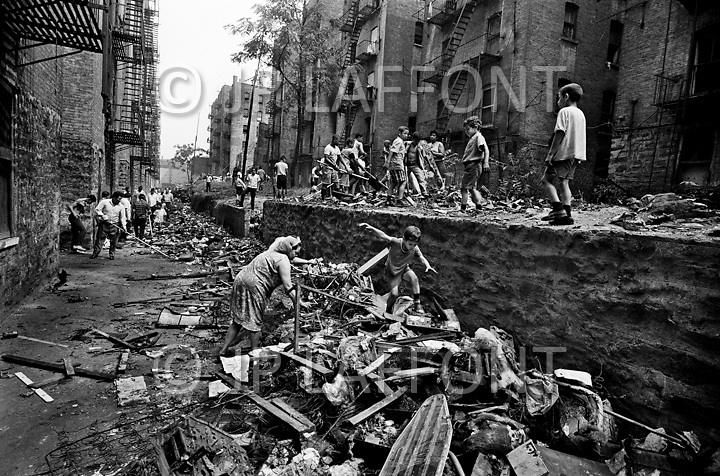 Sanitation in the Bronx. Lots of people cleaning voluntarily. Younger kids would play around while older ones would help with the cleaning.